TruMoo Chocolate Milk Review including is TruMoo healthy. As a runner, I find it important to fuel my body with the right food and drinks for optimal performance. Recent studies show that chocolate milk is the perfect recovery drink for athletes. It is the perfect mix of protein, carbohydrates and fat. For example, research from The University of Texas at Austin College showed that both serious and amateur athletes got physical recovery benefits by drinking low-fat chocolate milk after a workout. They say that those athletes that drank chocolate milk had a better body composition with more muscle and less fat, improved workout times and were in better shape than other athletes who drank sports drinks with only carbohydrates. 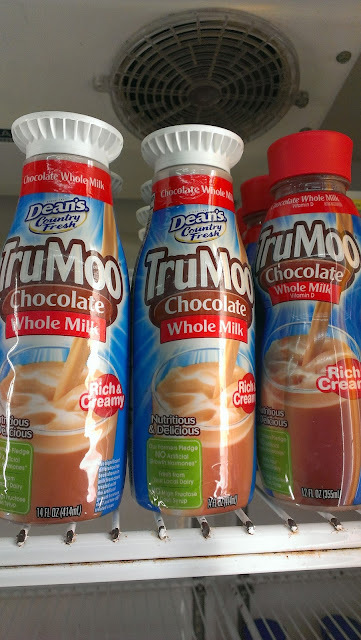 TruMoo chocolate milk comes in a few different versions including 1% fat, whole milk and non-fat chocolate milk that can be beneficial for exercise. It can of course be enjoyed by children but is also a smart choice for athletes of all ages. It contains no high fructose corn syrup or artificial growth hormones. Is TruMoo Milk Good for You? It is formulated to have less sugar and calories than other chocolate milk on the market. The fat free version has 120 calories per cup and the regular version has 140 calories. It is made with white milk from regional dairy farms across the country and is mixed with pure cocoa and sugar. 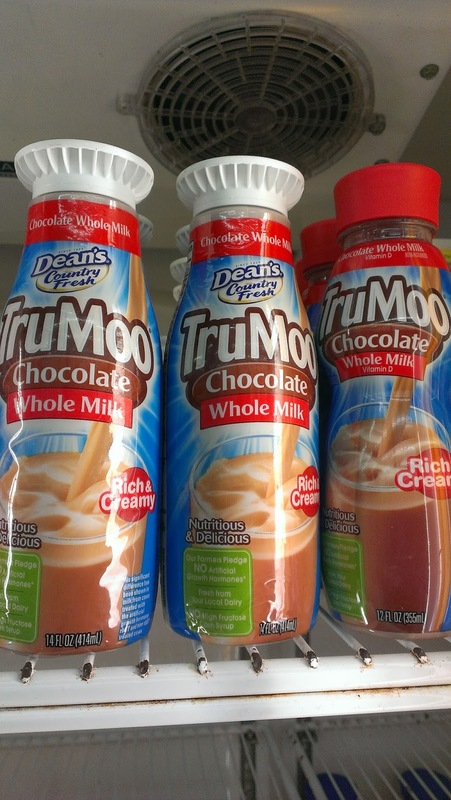 TruMoo also has a new chocolate milk called TruMoo Chocolate Marshmallow Milk which is now sold at Target. I could not find this yet at my location but they may have it soon. Other stores such as Walgreens will start carrying it soon. TruMoo chocolate milk can be drunk hot or cold. I bet that the TruMoo Chocolate Marshmallow Milk would be awesome heated up with a few mini marshmallows in it. I know with this freezing weather, any hot drinks taste awesome! That's great to know Tina. Thanks for sharing!